Armenia’s demand on providing the Armenian community with privileged rights after it ethnically cleansed the Azerbaijanis contradicts all documents, Head of the Foreign Policy Affairs Department of the Azerbaijani Presidential Administration Hikmet Hajiyev said in Baku on Jan. 29. 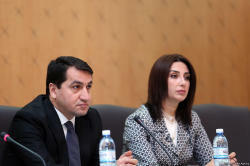 Hajiyev made the remarks at a meeting of the board of the Azerbaijani community of Azerbaijan’s Nagorno-Karabakh region with the representatives of diplomatic missions and international organizations accredited in Azerbaijan, Trend reports referring to the Azerbaijani Foreign Ministry. 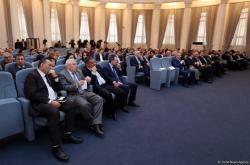 Hajiyev reminded the grave consequences to which the Armenian-Azerbaijani Nagorno-Karabakh conflict has led, reminded the participants of the event the position of the international community in connection with the settlement of the conflict, the requirements of four UN resolutions. He also spoke about the consistent policy pursued by the government of Azerbaijan to improve the living conditions of all internally displaced persons and refugees, as well as the care of President Ilham Aliyev to the families of martyrs. 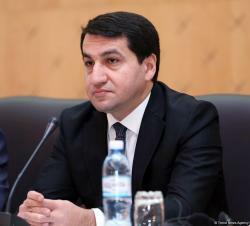 Hajiyev said that the constructive work carried out in Jojug Marjanli, ensuring a safe return of internally displaced persons once again demonstrates the determination of Azerbaijan to restore all the territories that will be freed from occupation, to establish peace and development. 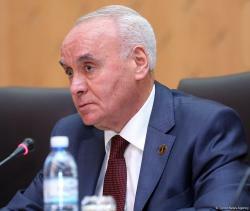 Azerbaijani Deputy Foreign Minister Mahmud Mammad-Guliyev spoke about the grave consequences of the Armenia-Azerbaijan Nagorno-Karabakh conflict and stressed that hundreds of thousands of Azerbaijanis who lived in the occupied Nagorno-Karabakh region and surrounding areas were forcibly expelled from their homes. 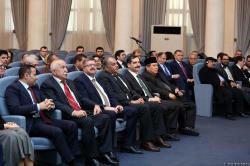 Mammad-Guliyev stressed the importance of liberation of Azerbaijani territories within the settlement of the conflict and the return of internally displaced people to their lands. He brought to the attention of the event participants the importance of restoring contacts and dialogue between the two communities of Azerbaijan’s Nagorno-Karabakh region. Mammad-Guliyev also stressed the great importance of restoring the violated fundamental human rights of internally displaced people, including 80,000 people of the Azerbaijani community of the Nagorno-Karabakh region. The head of the Azerbaijani community of the Nagorno-Karabakh region of Azerbaijan, Tural Ganjaliyev, noted that according to the OSCE resolution in Helsinki of 1992, the Azerbaijani community is an interested party in resolving the conflict. Ganjaliyev informed the event participants that the Azerbaijani community is ready to establish contacts and constructive dialogue with the Armenian community of the Nagorno-Karabakh region. 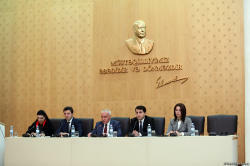 Then the members of the board of the Azerbaijani community from Khojaly, Durdana Agayeva and Samir Huseynov, made a speech. They noted that before the occupation of the Azerbaijani city of Khojaly, they lived together with the Armenians in an atmosphere of prosperity and stressed that the peaceful Armenian population had become hostage to the aggressive policy of Armenia. 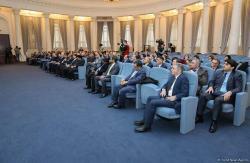 During the event, other members of the Azerbaijani community of the Nagorno-Karabakh region of Azerbaijan addressed their questions to representatives of the diplomatic corps in Azerbaijan.